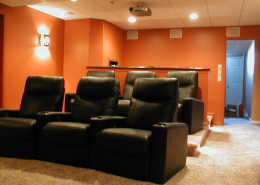 Good planning, proper component selection and attention to design details are essential in building an enjoyable and practical home theater. 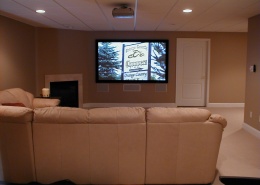 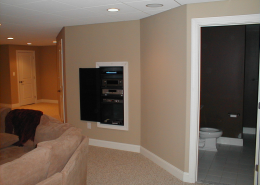 At Audio Video Associates we custom design every system we install based on your specific needs and budget. 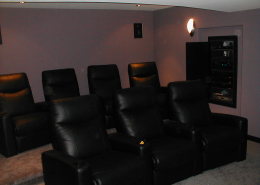 We have been in the Audio Video business for over 25 years and have installed hundreds of theaters/systems over the last 10+years, with 100% customer satisfaction. 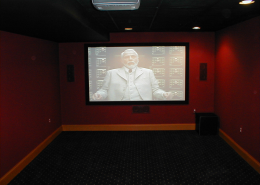 Experience total escape in your new home theater with picture and sound quality exceeding a commercial cinema. 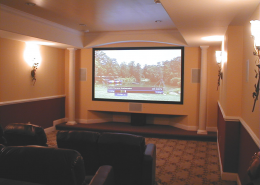 Our expertise extends to all aspects from 4k and 3D video technology to interior design, seating and lighting, in creating a home theater that is sure to bring years of enjoyment to the whole family. 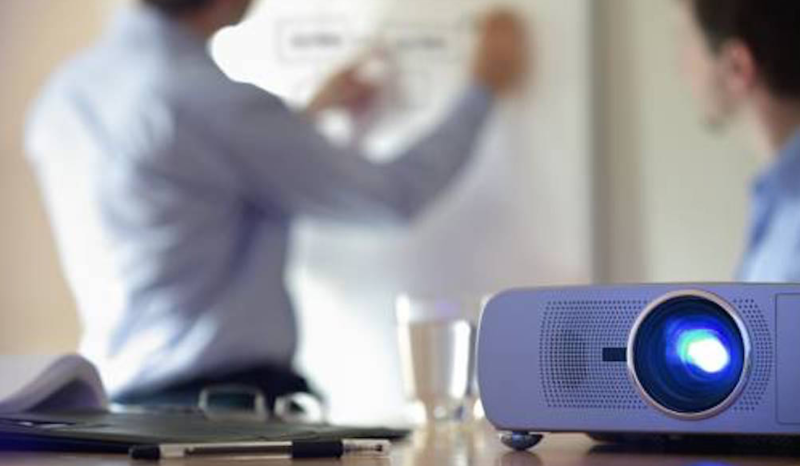 With music streaming technology and a wide range of speakers available (in-ceiling to outdoor planter speakers) filling your house with music has never been easier! 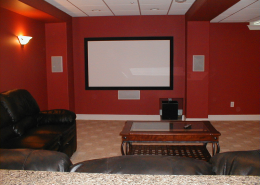 We specialize in a great range of audio systems, from a single pair of outdoor speakers for your deck or patio, to a whole house music system. 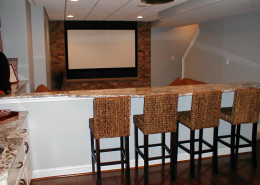 We hide ALL wires on our flat panel TV installations and provide local power behind TV (no need for hiring an electrician).